Environmental Design). This certificate is the international benchmark similar to the French HQE for the construction of sustainable and high-performance buildings. 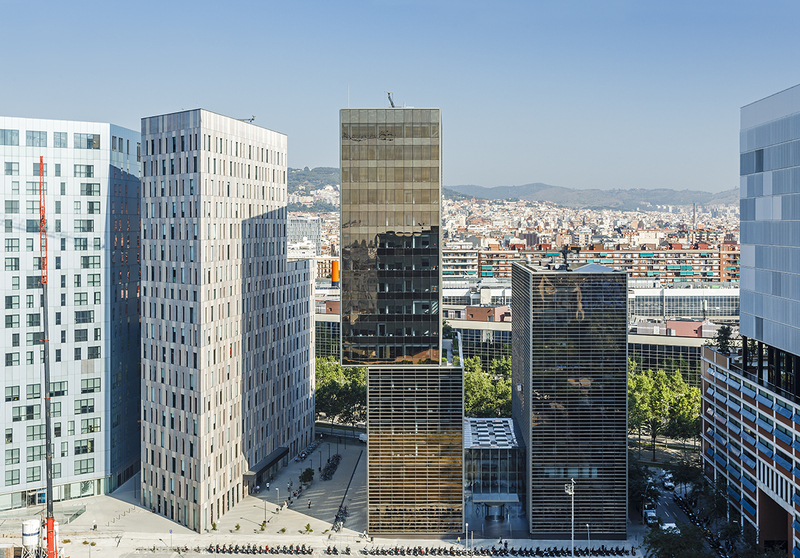 With the dual objective of maintaining privacy, guaranteeing effective screening from the sun and achieving the right quality of light for the administrative functions of the building, the Screen Nature fabric played a central role in both the technical and environmental domain. Three-floor glass atrium linking the towers and enabling natural light to penetrate into the building. "…We needed to obtain LEED Gold certification: the materials selected had to have zero or low environmental impact. Source, composition… the Screen Nature fabric from Mermet met all the environmental and technical specifications in terms of openness factor, letting natural light into the building... 8,000m² of the Screen Nature fabric, colour Bronze 1134, giving a total of some 1,500 blinds installed by the blind maker CORTISA, S.L.. The perception of light and optical and thermal comfort is different from one person to the next, so our main challenge was to find a solution that satisfied all the building’s occupants. Installing an indoor blind that everyone is able to adjust to their own taste gave us much more flexibility. 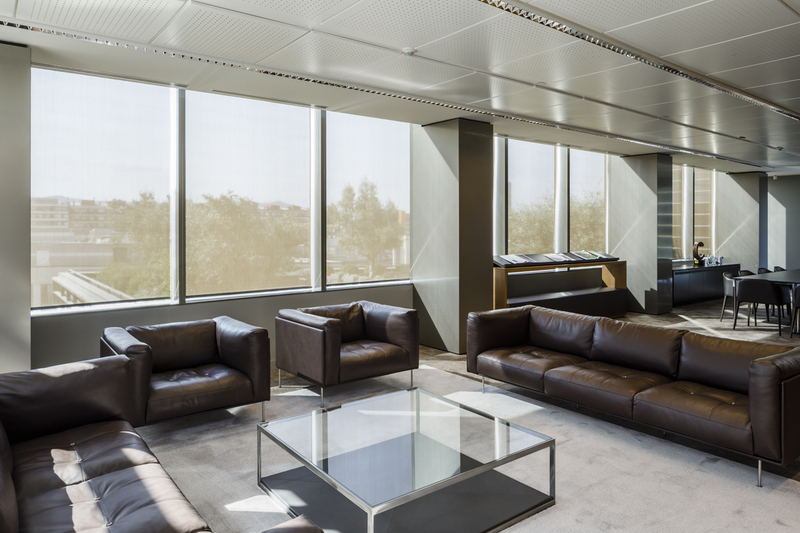 From the aesthetic point of view, the extensive range of colours and fabrics made it easier to integrate the screens within the ambiance we were seeking to create ... » Juan Velasco Garcia de Sierra – GCA Architects. By meeting ever more demanding standards, Mermet enables buildings to reduce their carbon footprint.